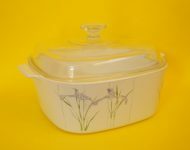 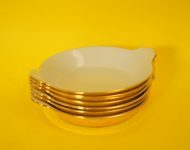 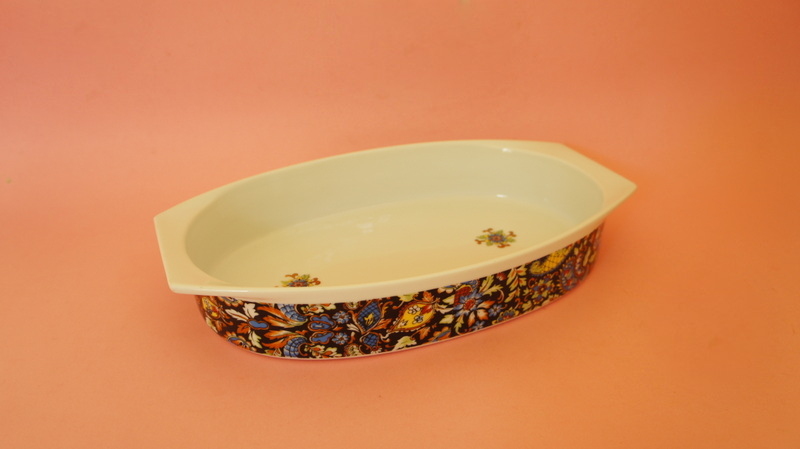 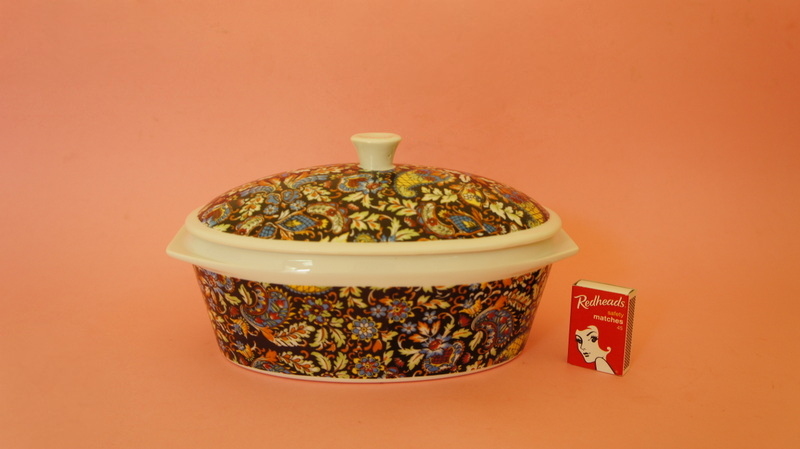 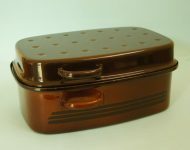 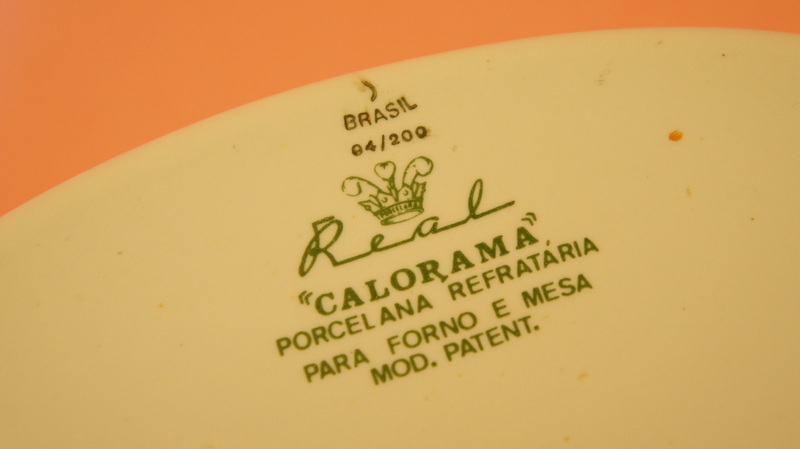 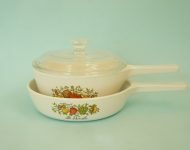 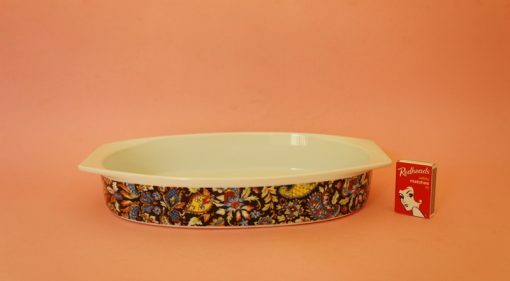 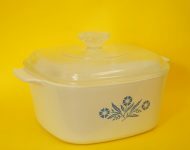 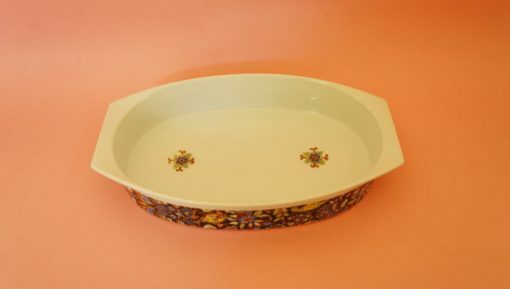 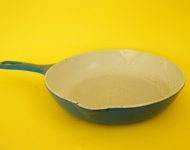 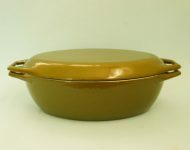 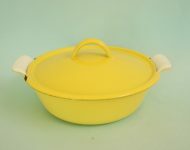 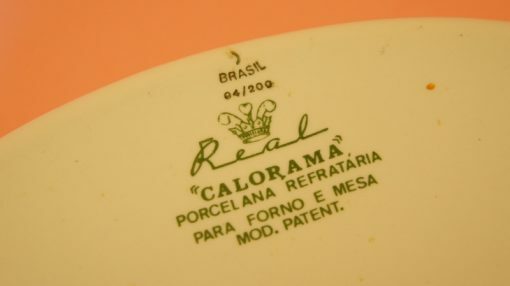 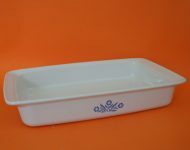 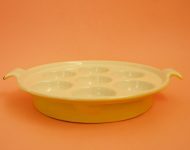 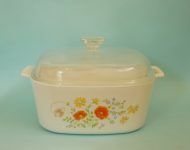 I love this vintage Brazilian ovenware! 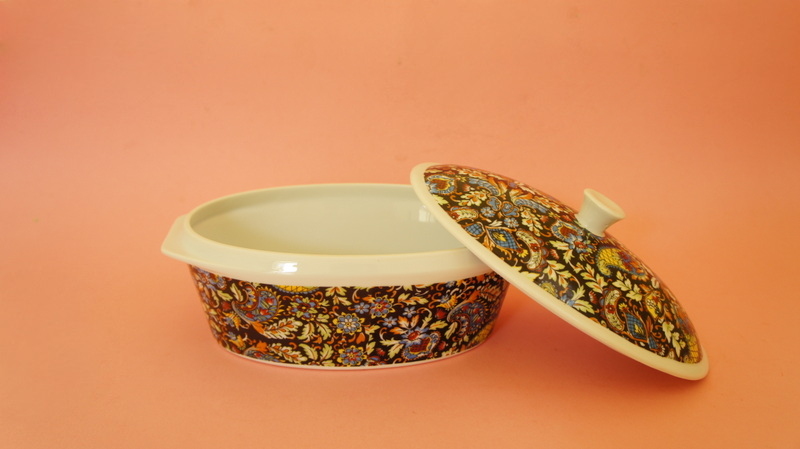 Believe it or not this paisley pattern’s quite sedate for Real Colorama, which tends to have very bold, flower-power patterns on its cookware. 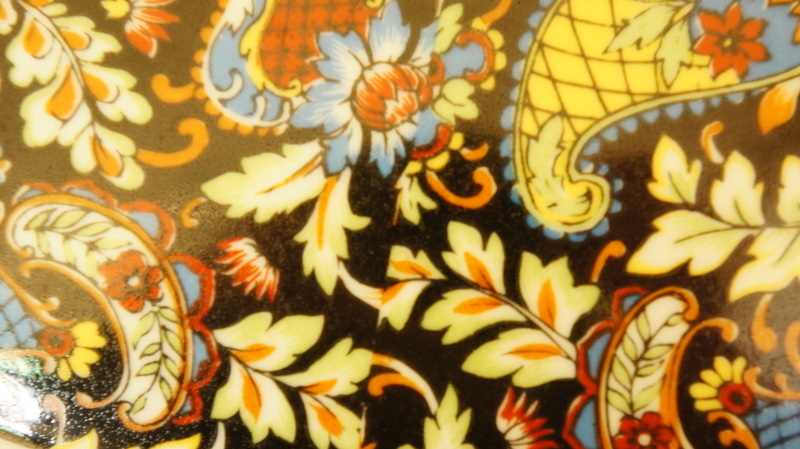 The pattern’s printed on, not glazed or hand painted, so isn’t quite as refined as it could be, and the pattern doesn’t match up where the two sides join, but you don’t notice the imperfections unless you’re looking for them. 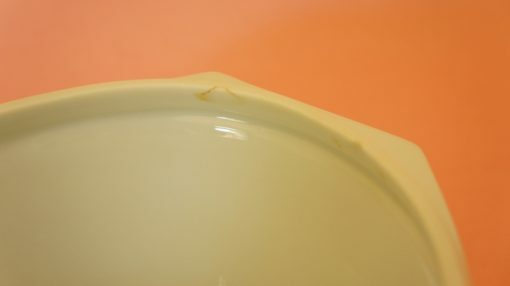 There is a small bit of damage on the inside of the casserole dish, but the damage isn’t so bad that it would put you off using it. 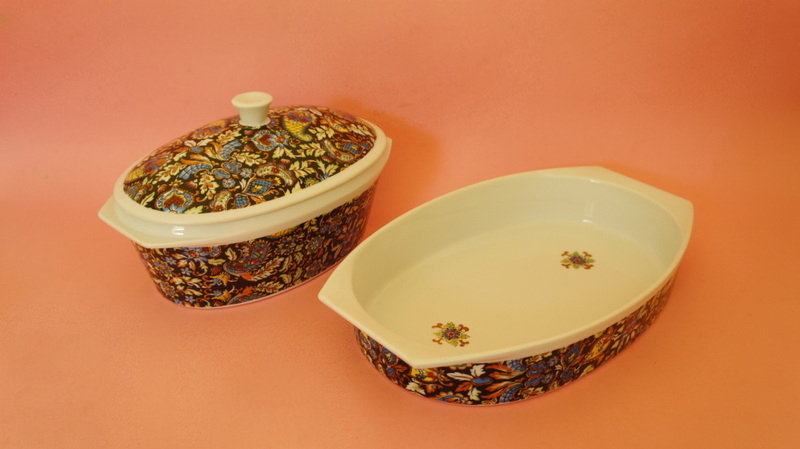 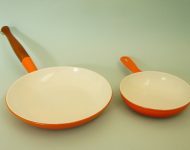 An unusual and practical pair that can go straight from the oven to your dining room table!